The 7000/10000 series was the last of Digital's VAX architecture machines. It was even possible to upgrade the CPU modules for Alpha modules, to convert eh machine into the parallel 7000/10000 AXP series. 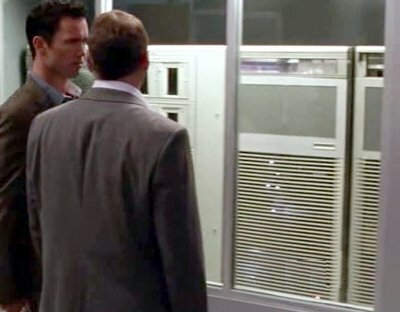 The VAX is the computer system from which Jimmy must steal data.